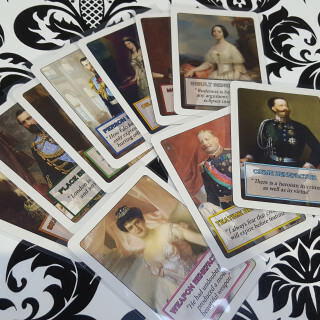 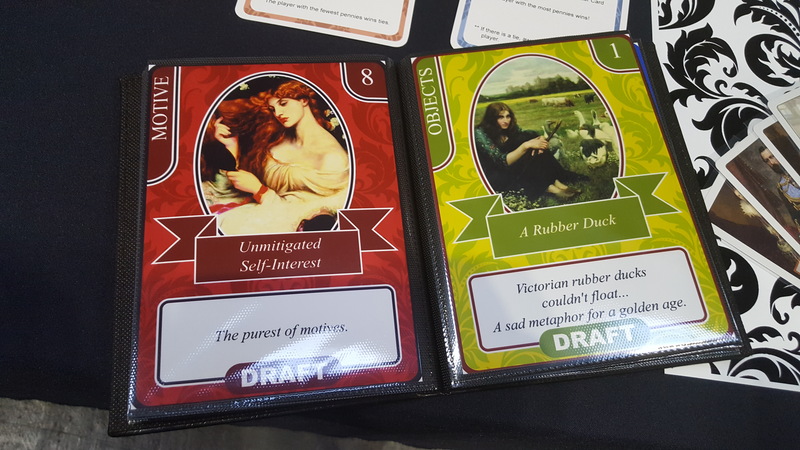 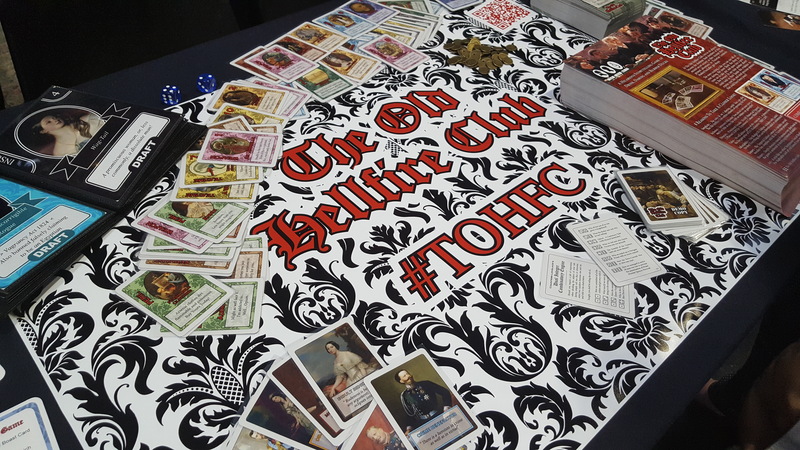 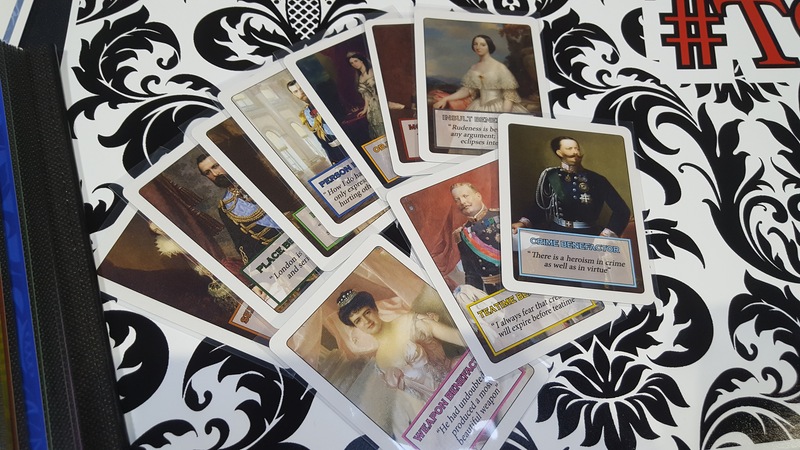 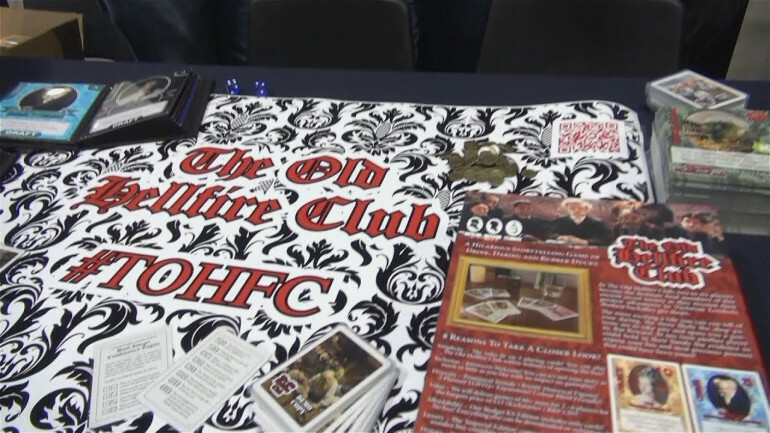 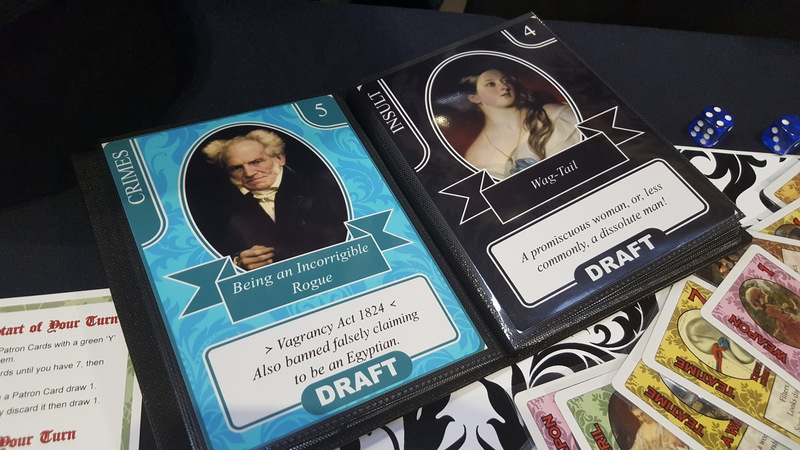 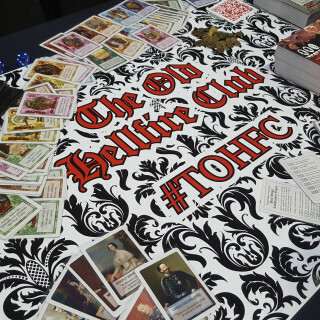 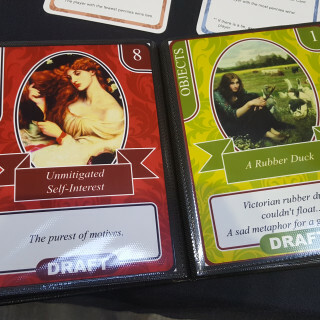 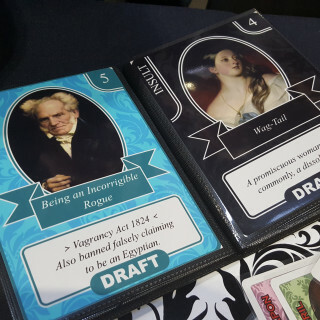 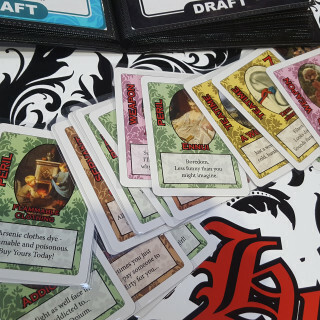 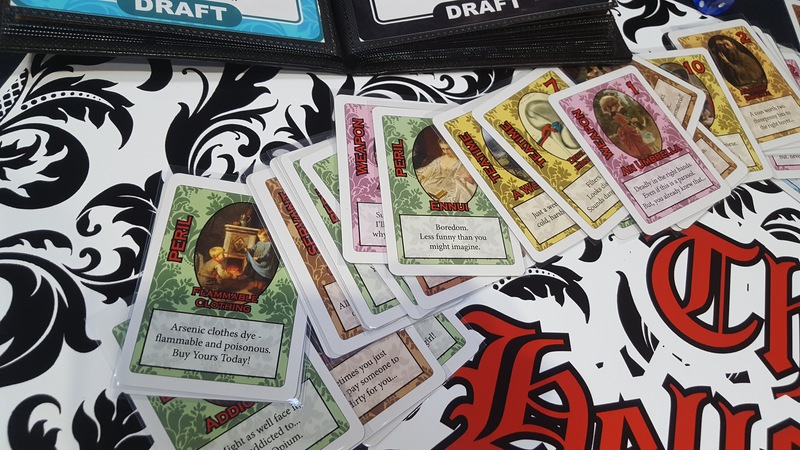 The Hellfire Club have turned up to playtest their card game The Old Hellfire Club, a storytelling game where Victorian adventurers go in search of gin. 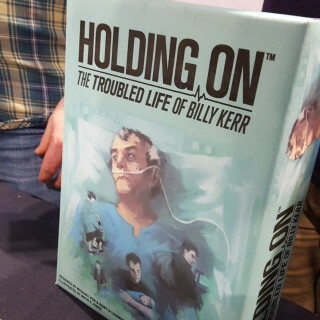 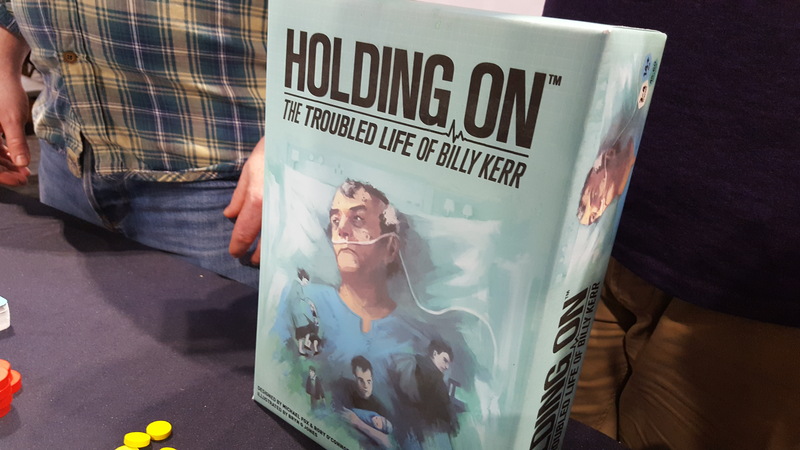 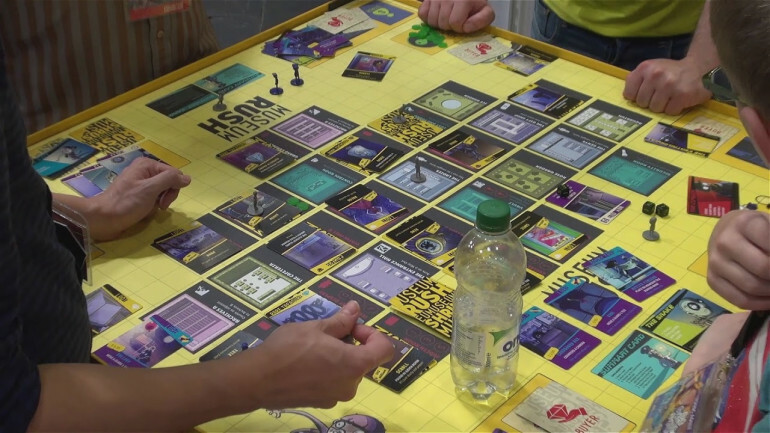 Is this a game you would like to try? 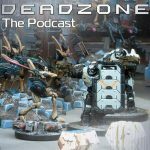 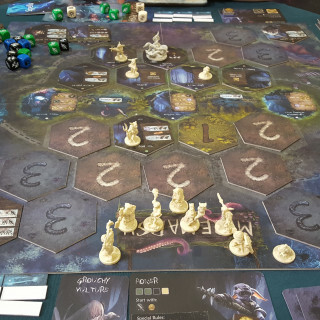 Sam stops by Herbertz Entertainment to talk about their new game Albedo. 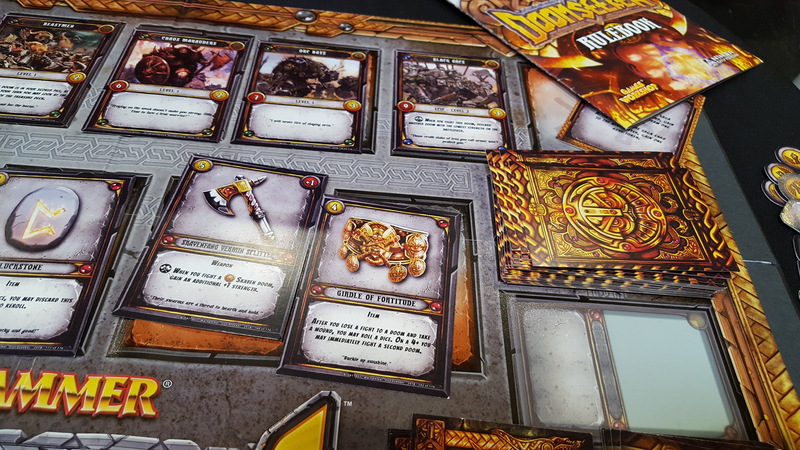 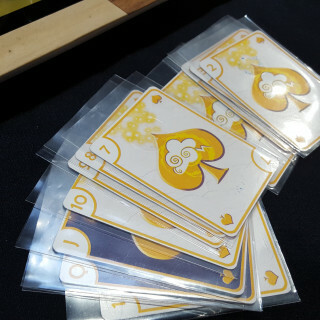 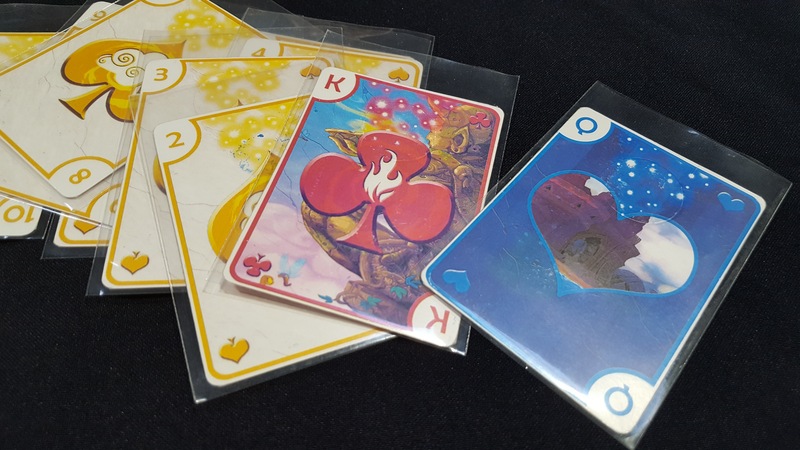 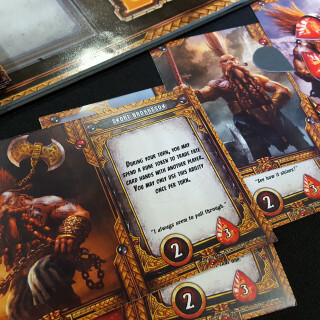 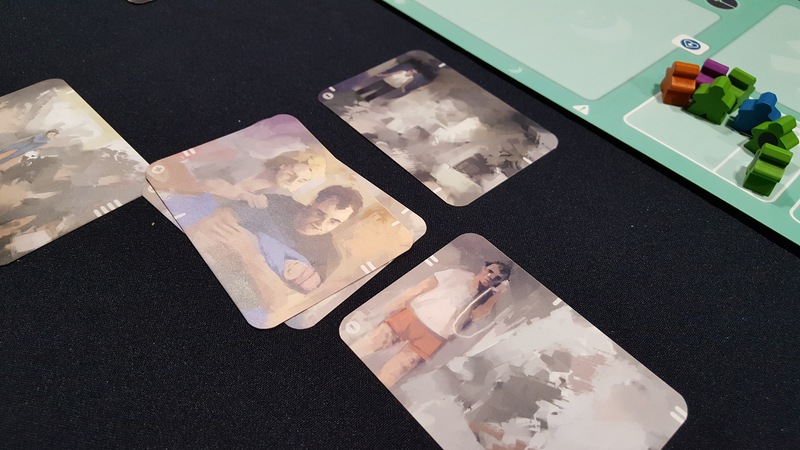 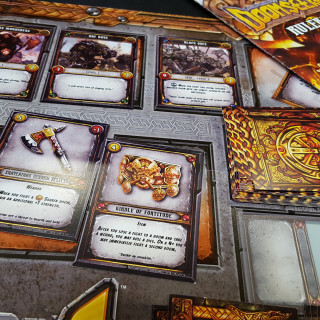 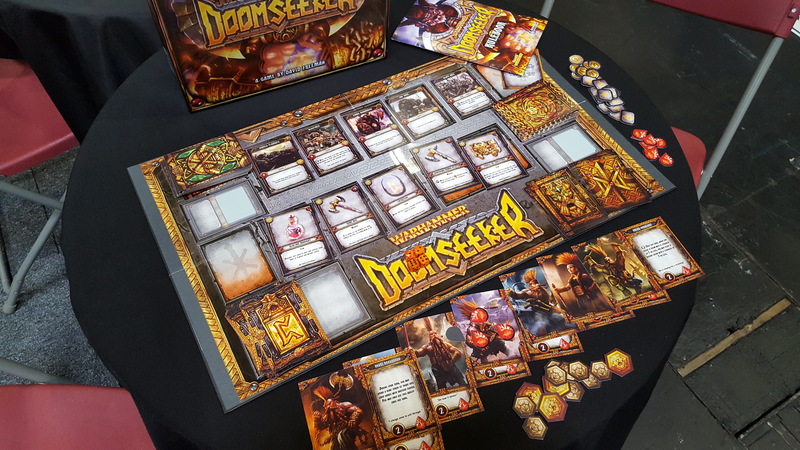 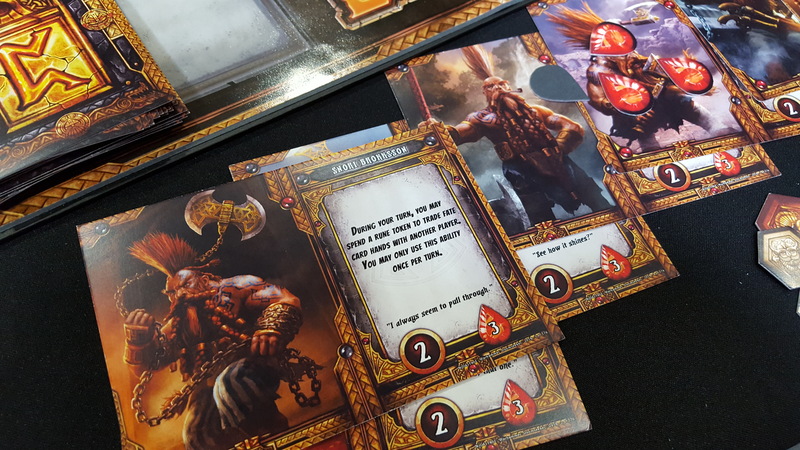 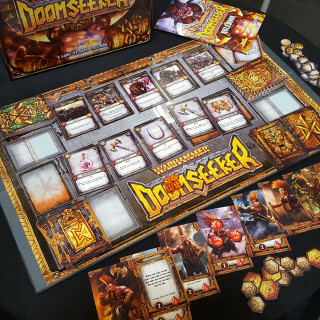 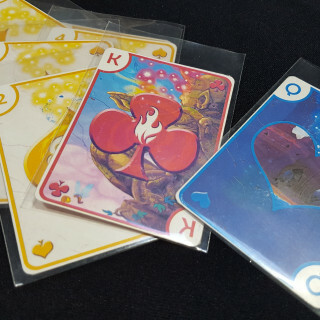 Interestingly it’s a deck building game with simultaneous action reveal. 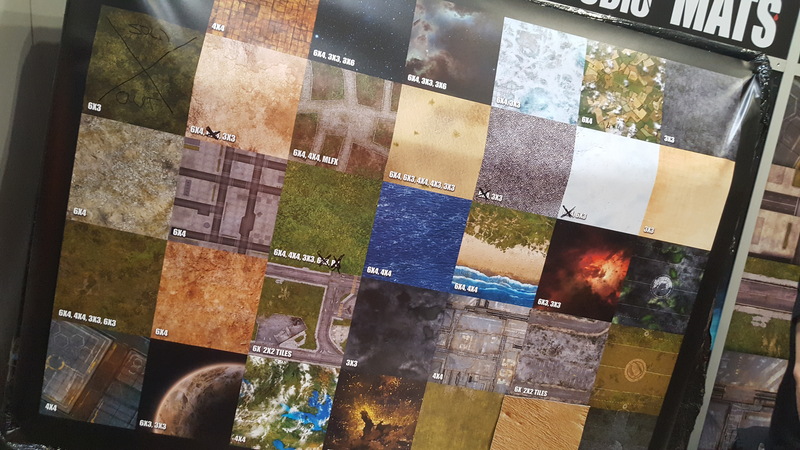 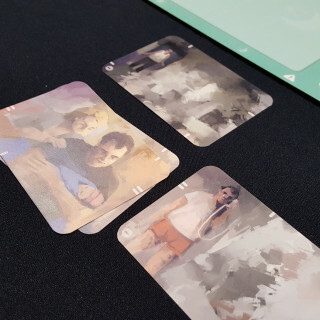 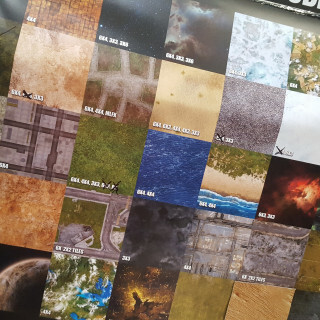 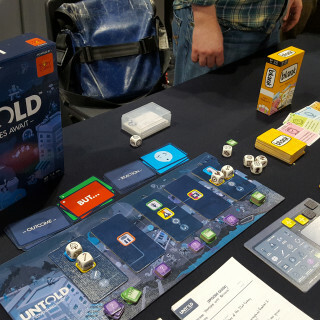 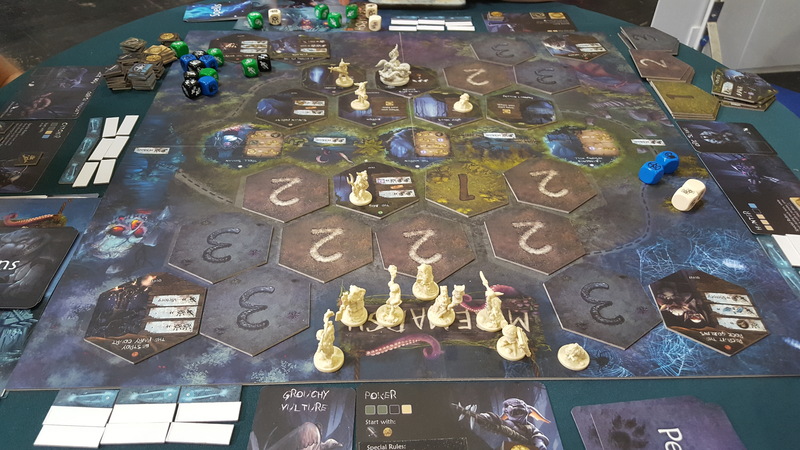 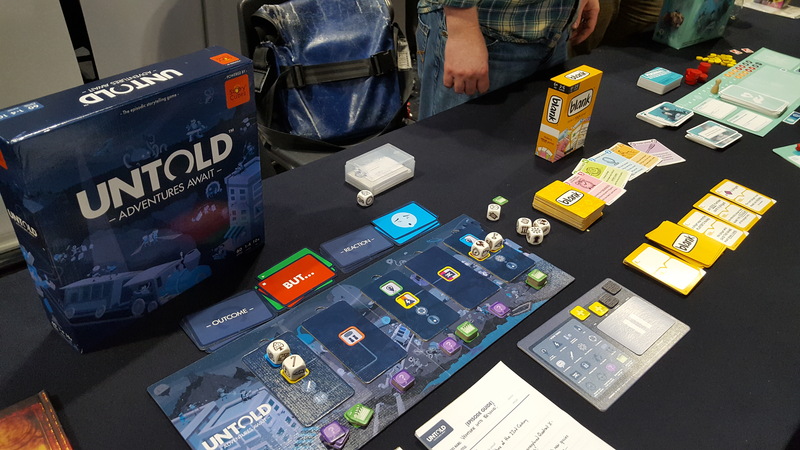 This 2nd edition of Albedo is making its debut at UKGE so be sure to check it out at 1-L18. 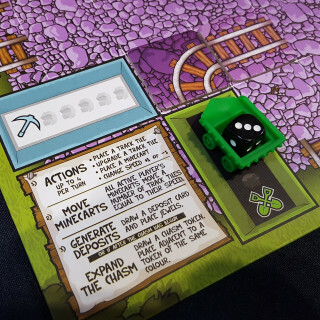 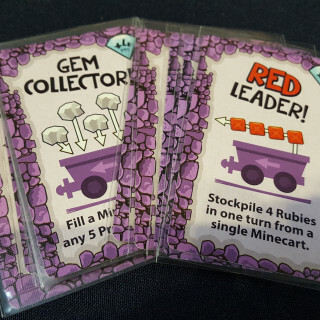 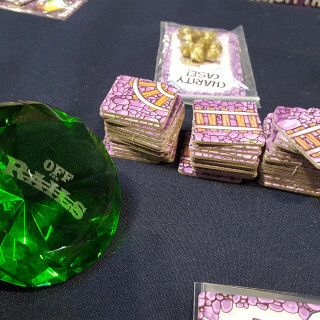 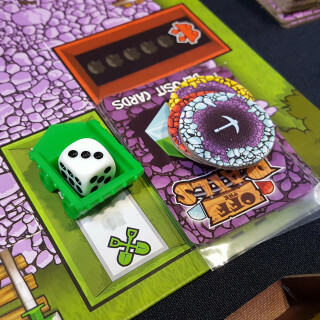 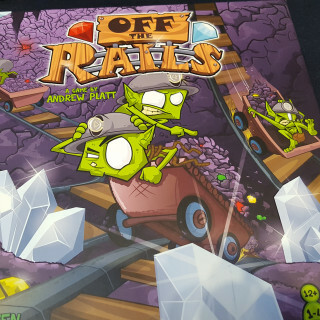 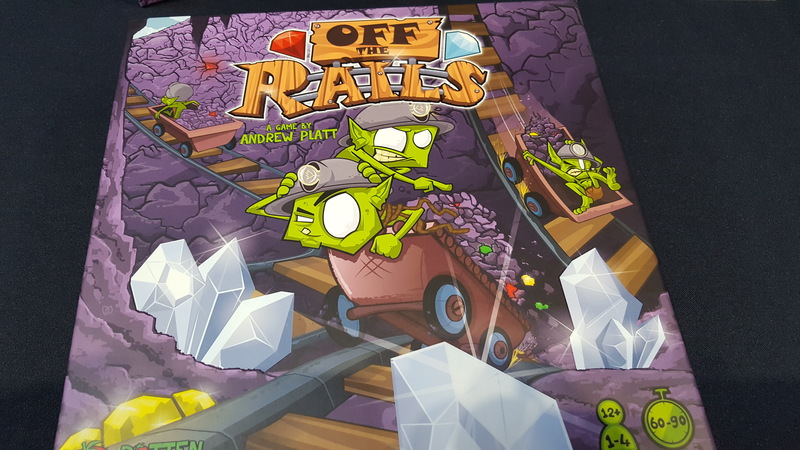 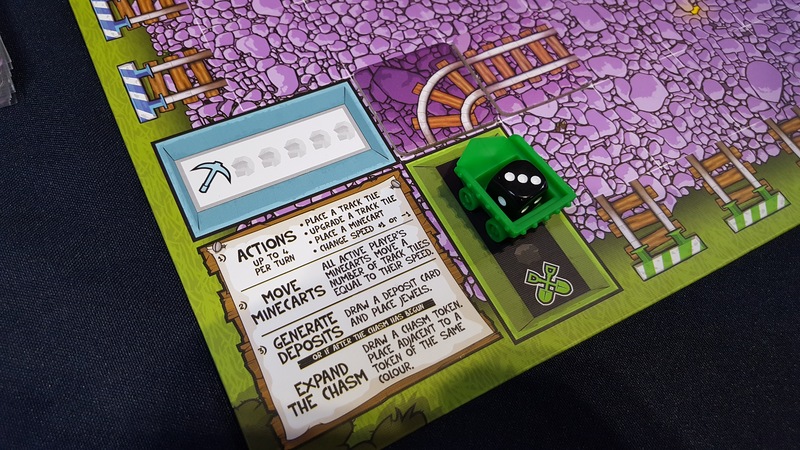 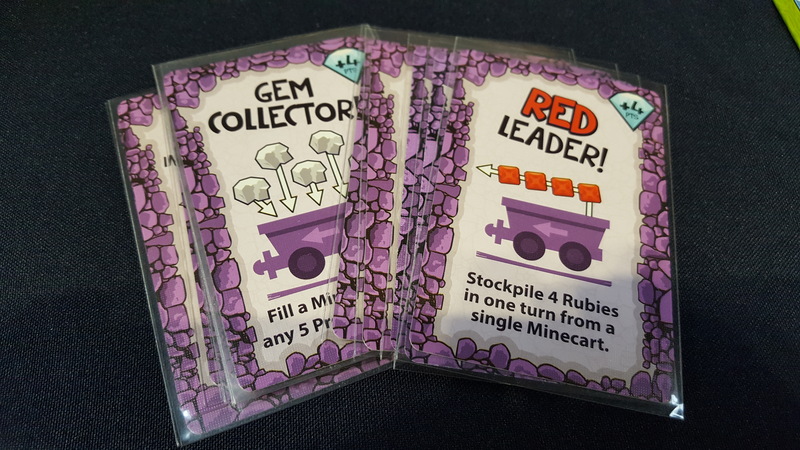 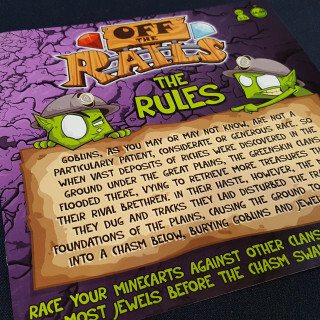 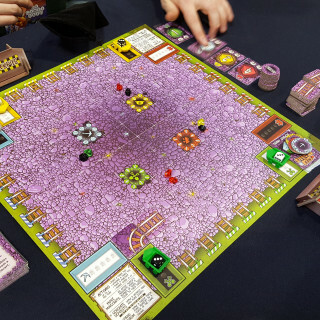 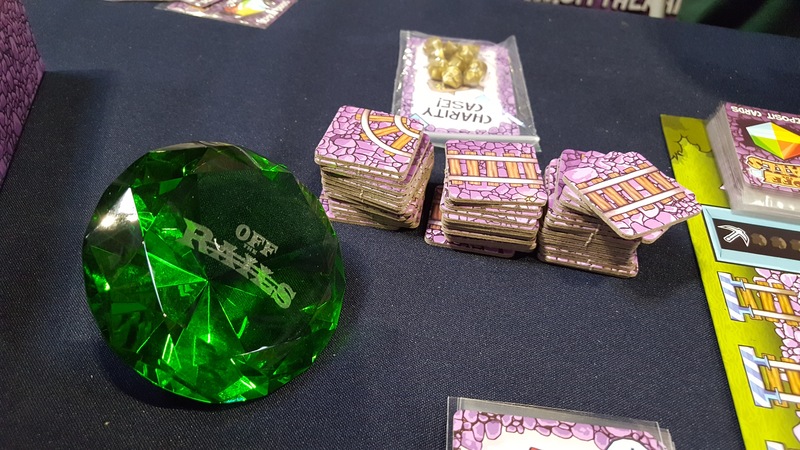 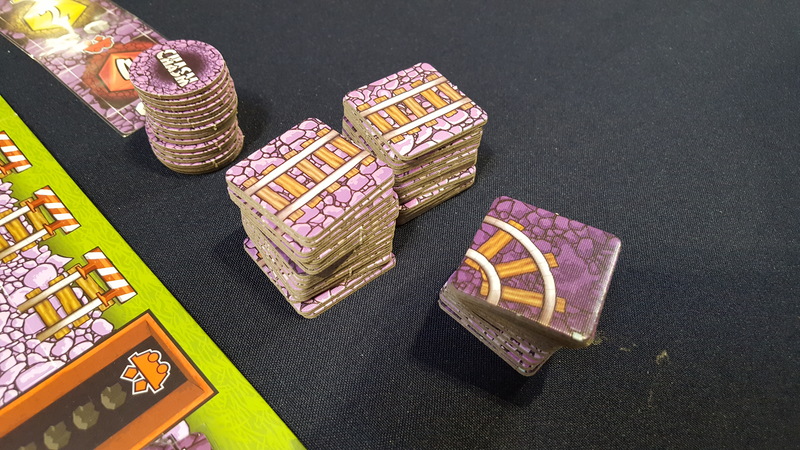 Rotten Games are going mining with a bunch of goblins in their game Off the Rails, a chaotic game of speedy mine carts where you can’t even trust the ground itself. 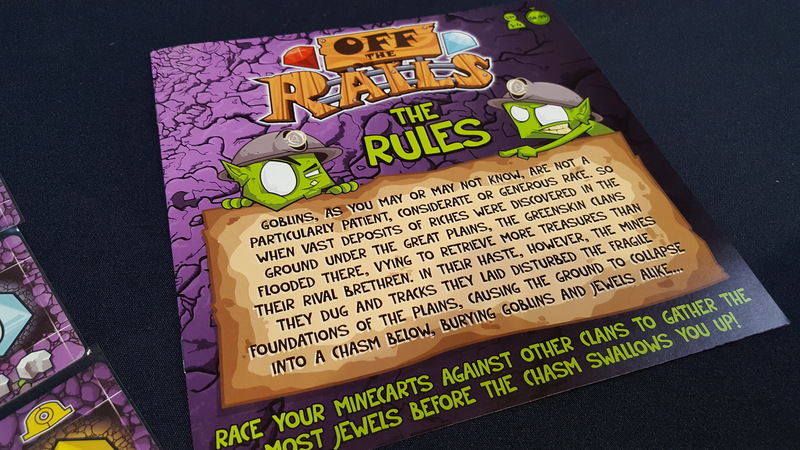 Let us know your thoughts on Off the Rails in the comments below. 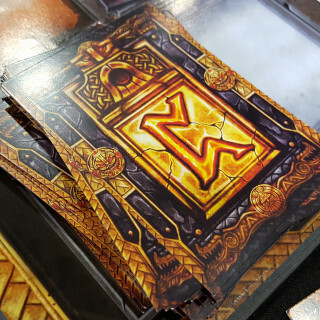 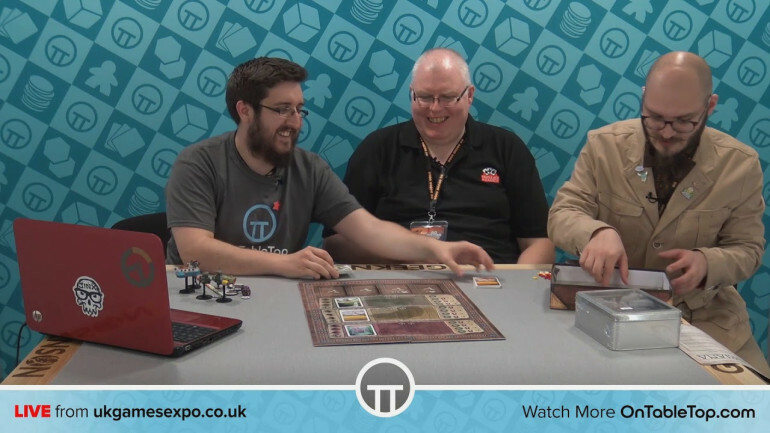 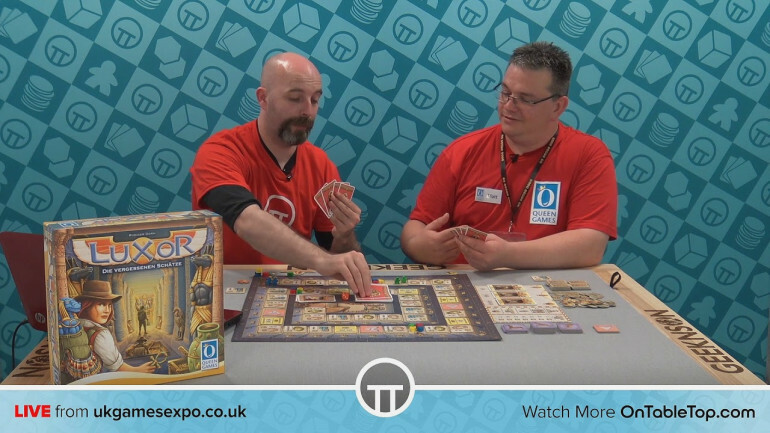 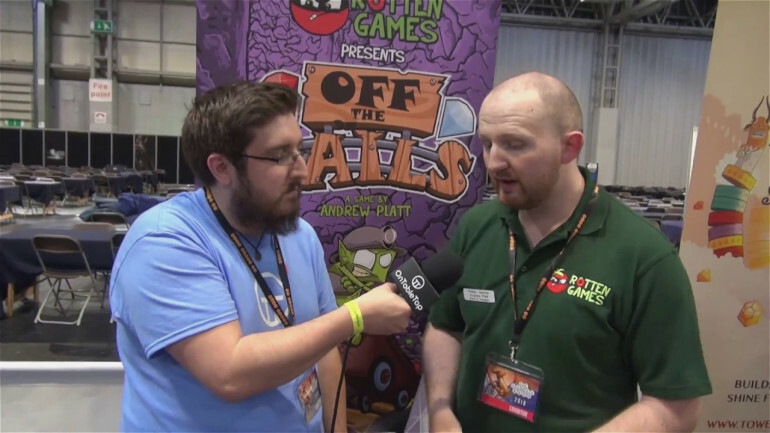 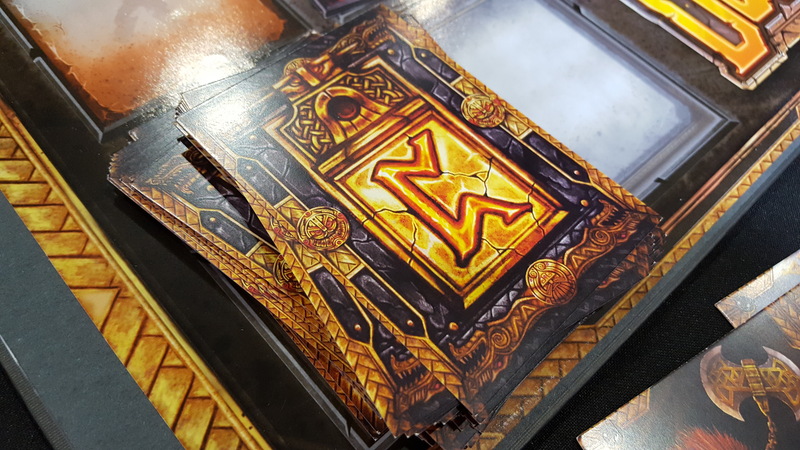 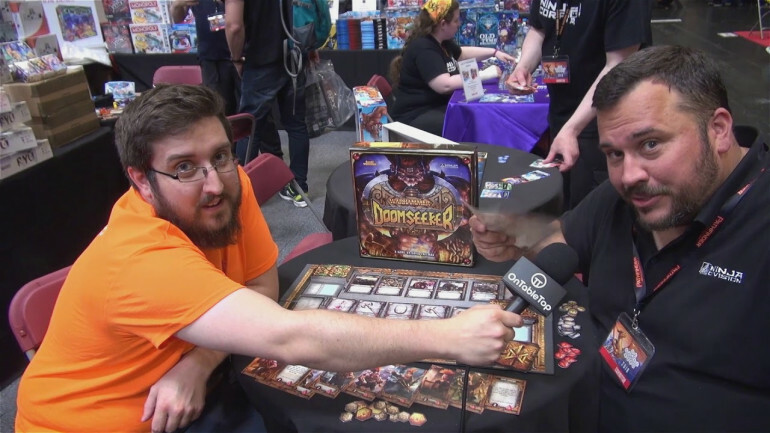 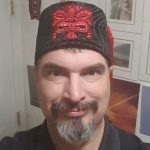 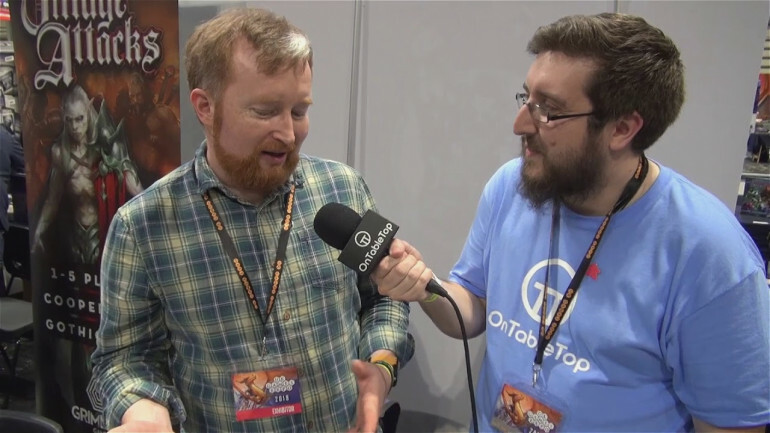 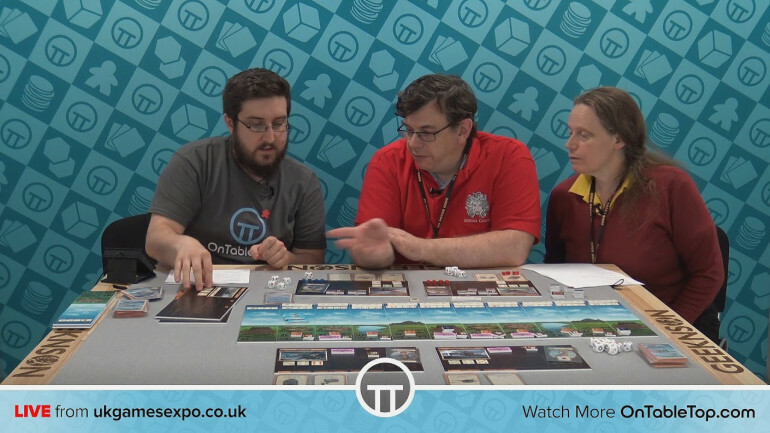 Matt from Queen Games joins Justin to talk about the Spiel des Jahres nominated Luxor where players hunt for forgotten treasures. Be sure to head over to today’s Live Stream to see who is stopping by! 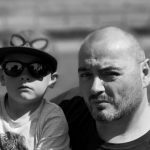 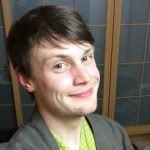 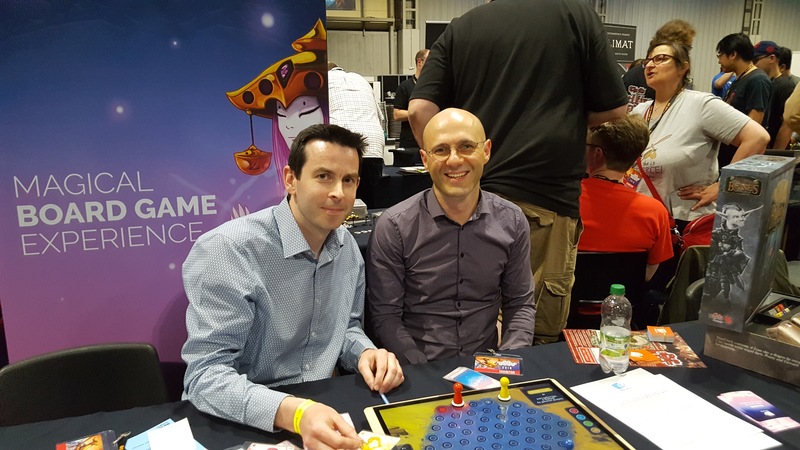 Ben hosts Jane and Richard from Medusa Games to talk about their new game Magnificent Flying Machine which explores the great air races between 1908 and 1913. 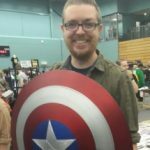 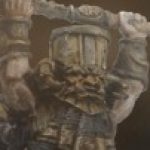 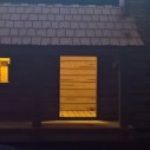 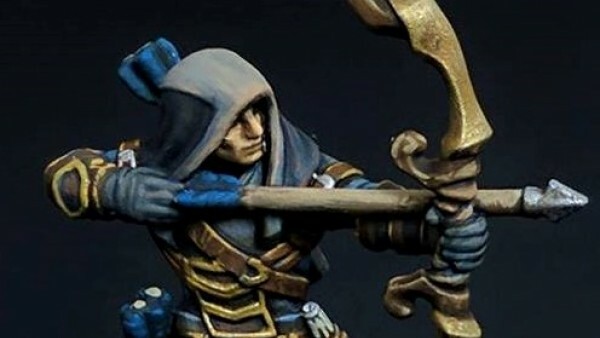 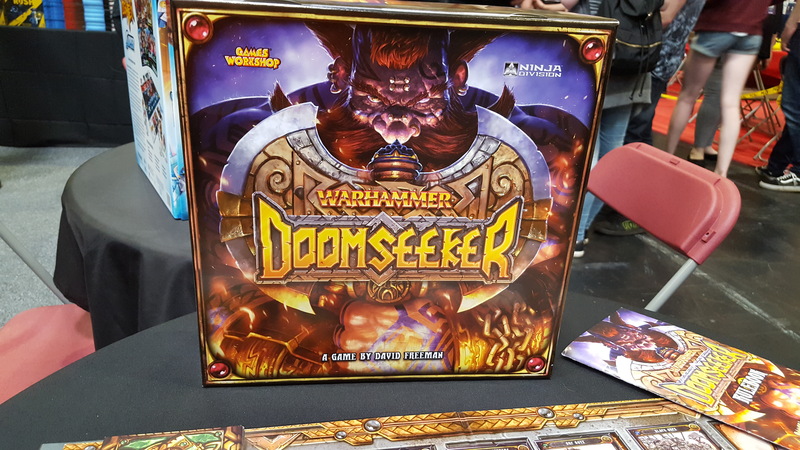 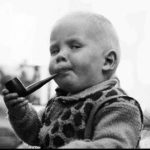 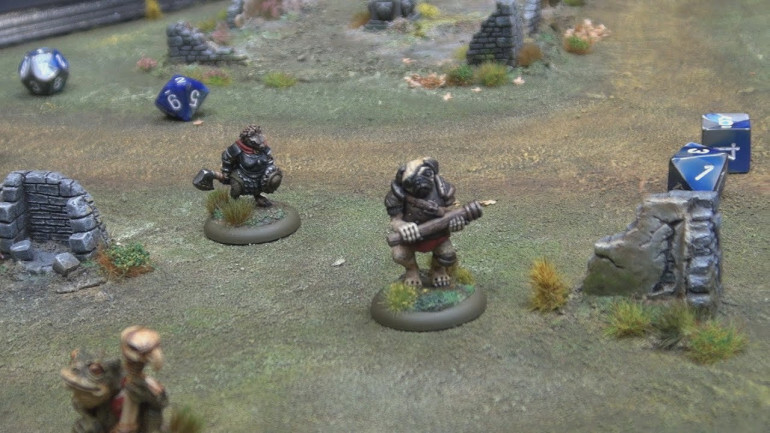 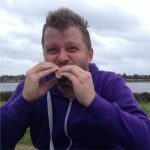 I stop in with Jo from Oathsworn to talk about how things are going with Burrows & Badgers and where they are now after the recent Kickstarter. 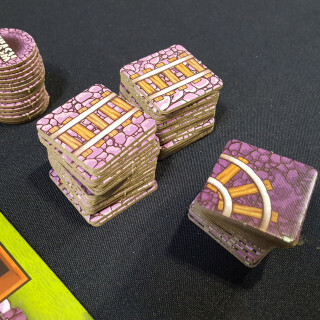 The team are going to be doing some great stuff soon and we have a competition coming up with them too where you could win a Mouse House Terrain piece, a Slave Badger Blister Pack and Coin Accessories to use as counters. 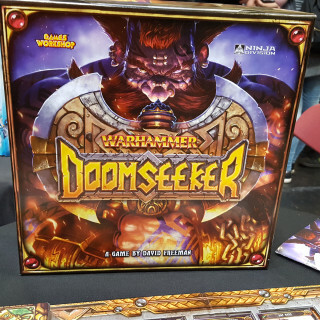 Watch out for me at a tournament for the game at the end of June! 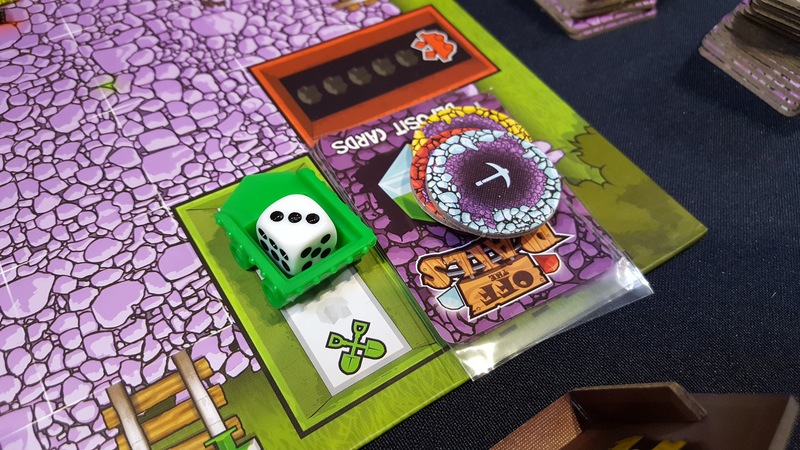 And comment below to win a variety of Burrows & Badgers goodies! 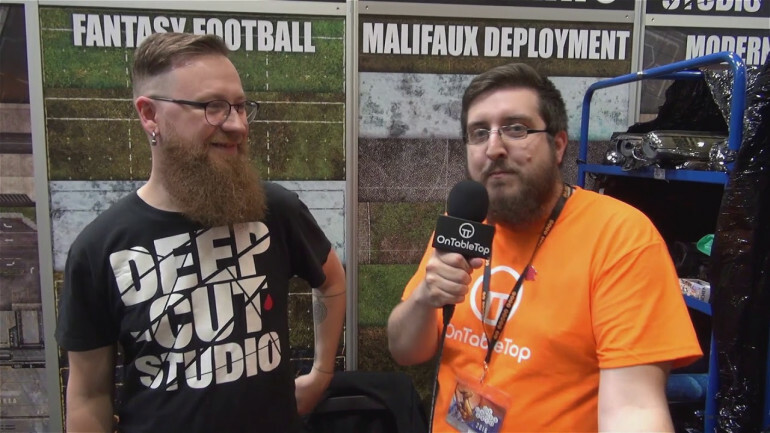 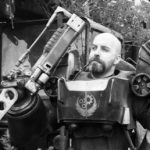 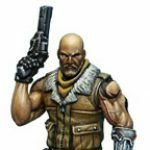 Modiphius came by to talk to Justin about the exciting new addition to the Fallout franchise. 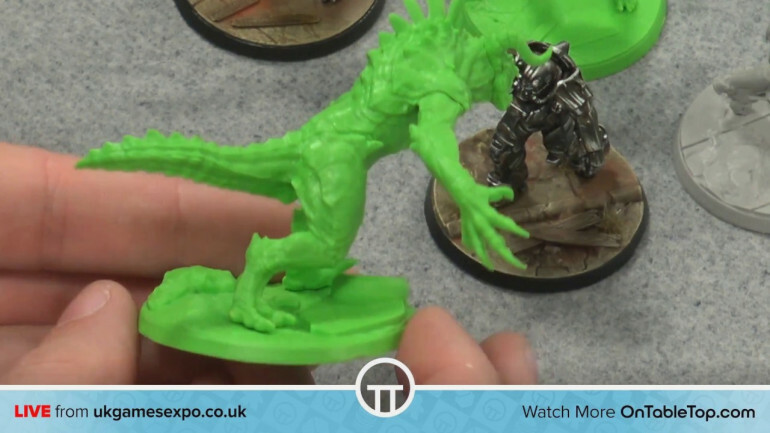 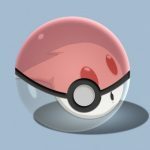 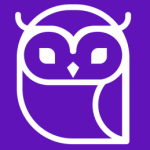 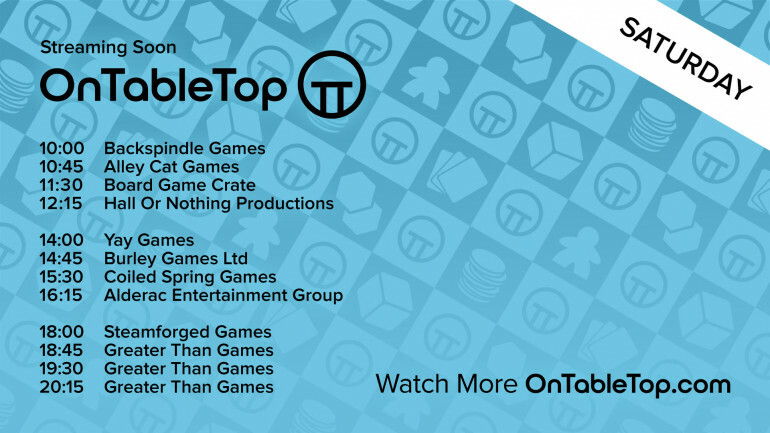 Be sure to check out today’s Live Stream to see if there is anything which catches your eye. 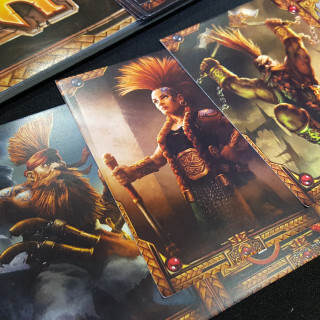 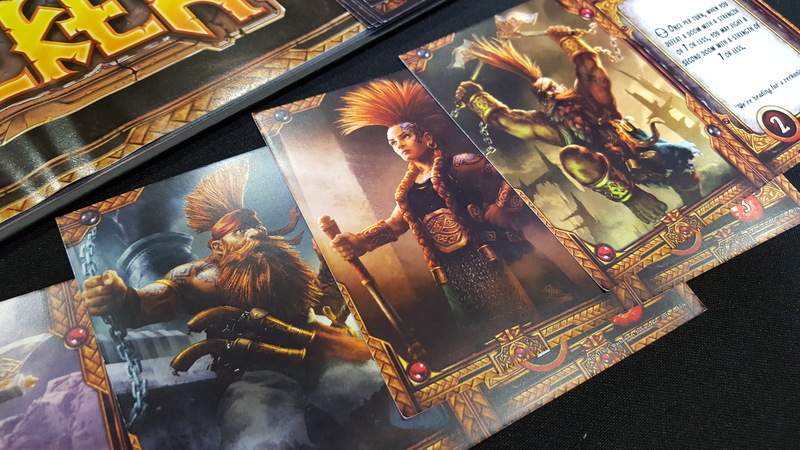 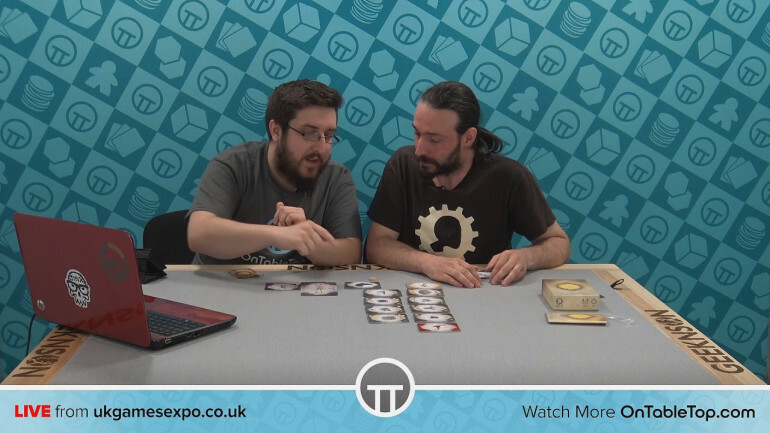 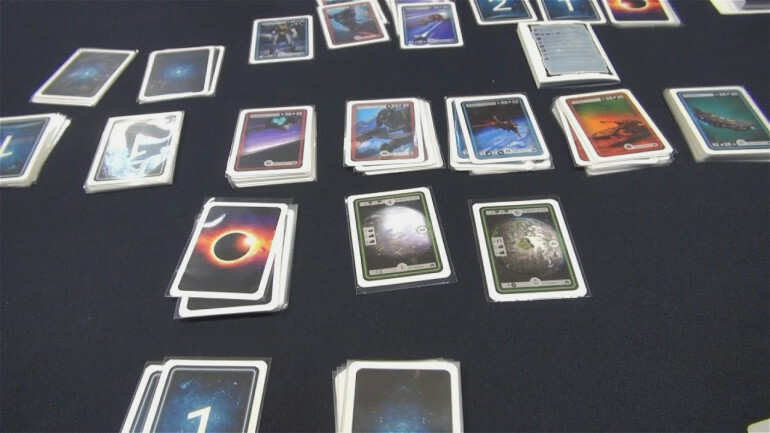 Ben caught on stream with Hal-13 to talk about their new game Serengeti which has both deck building and area control elements. 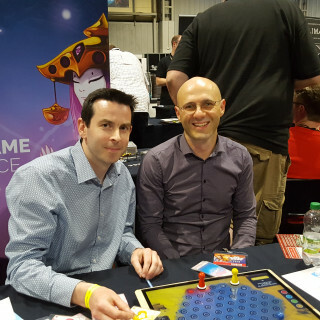 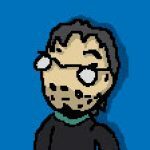 Ben drops by the Room 17 booth at Expo to talk about their games Flicky Spaceships, Museum Rush and Miremarsh. 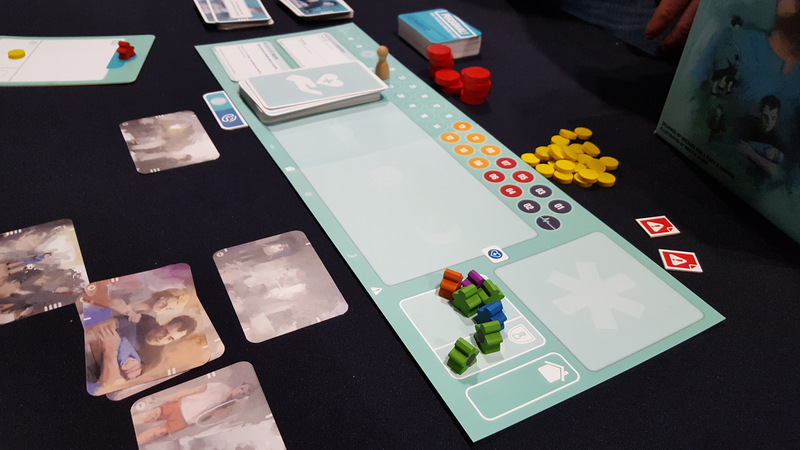 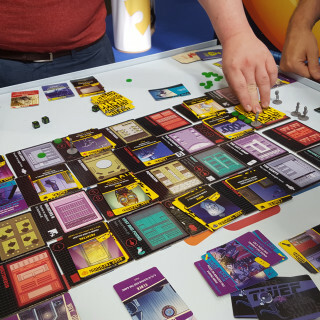 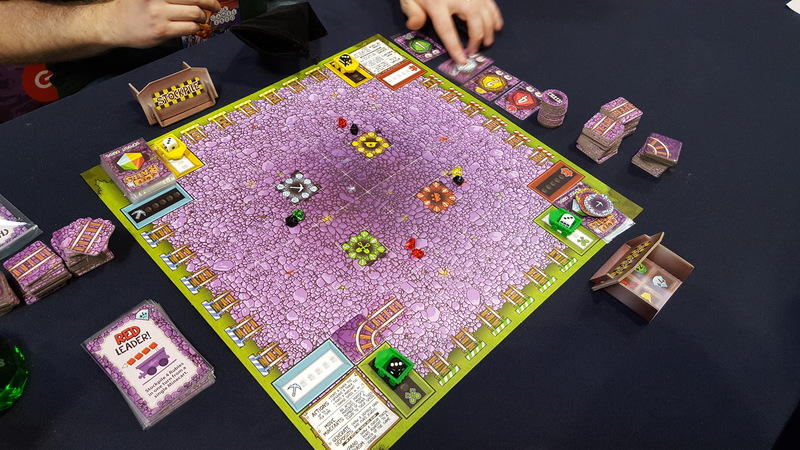 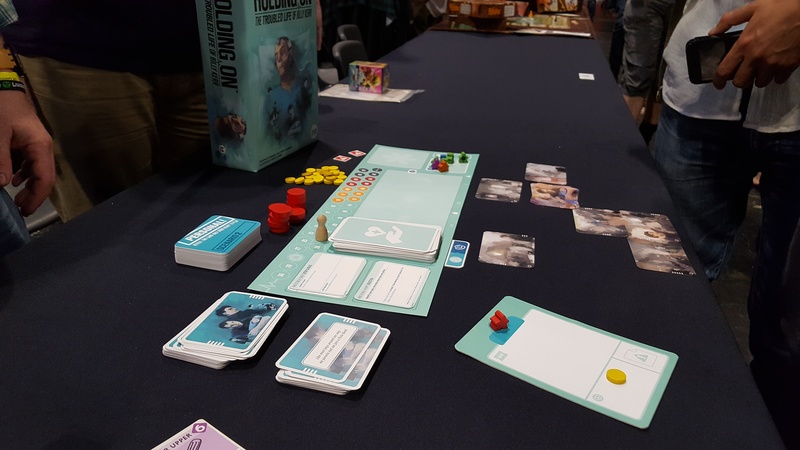 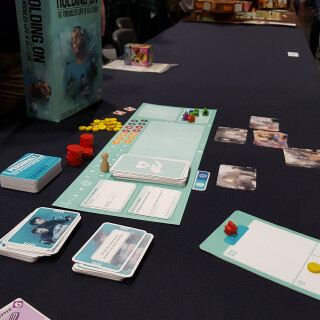 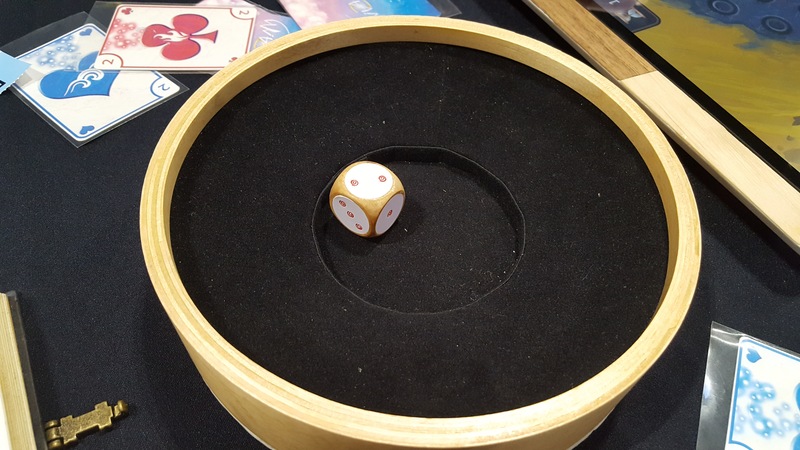 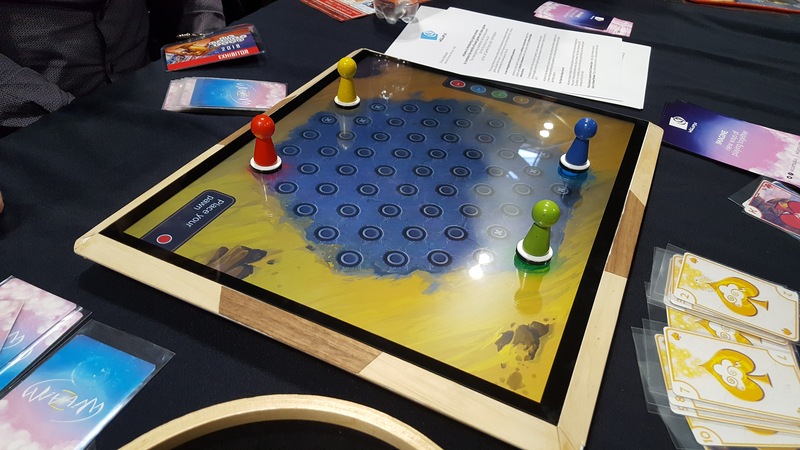 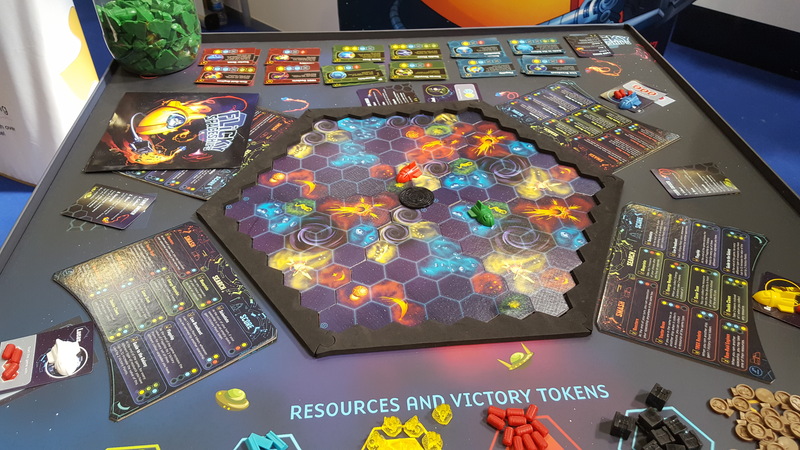 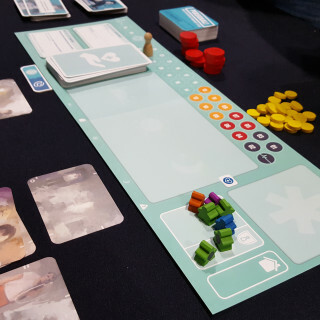 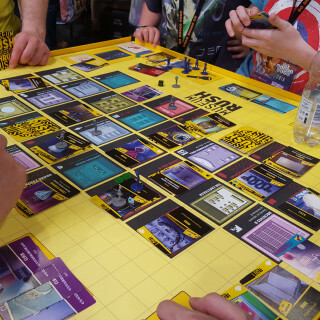 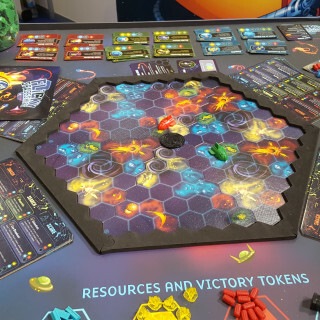 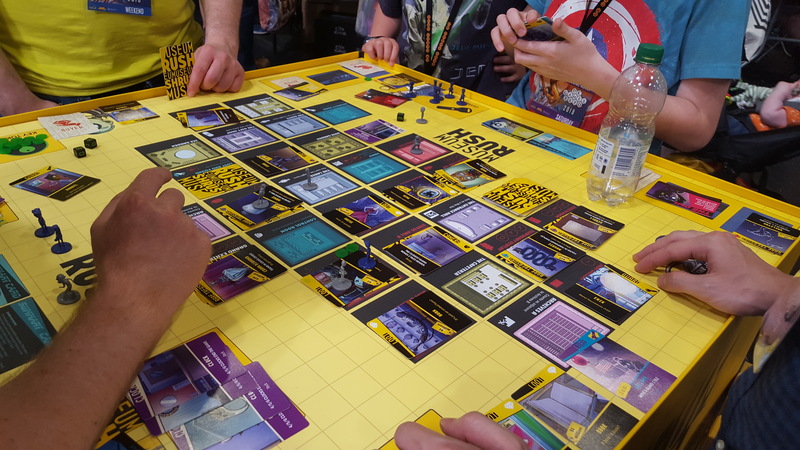 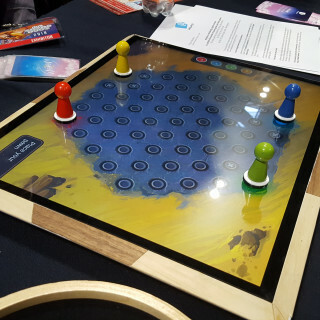 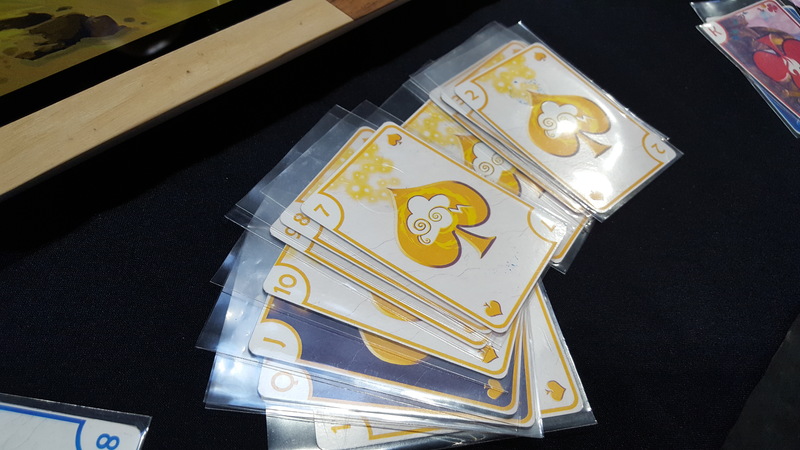 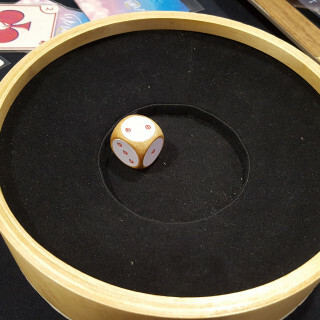 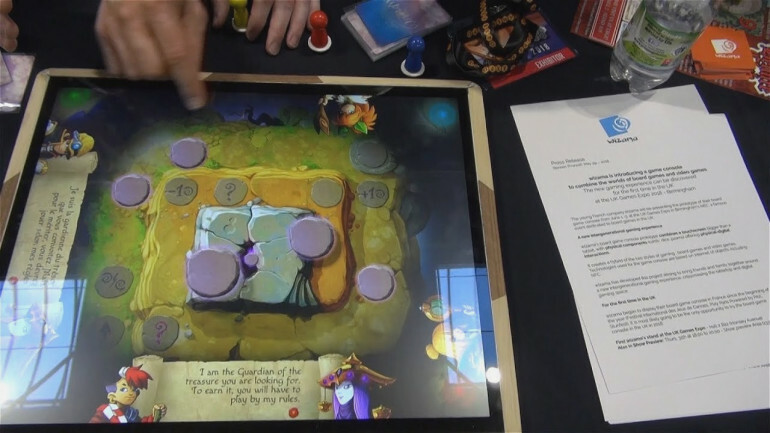 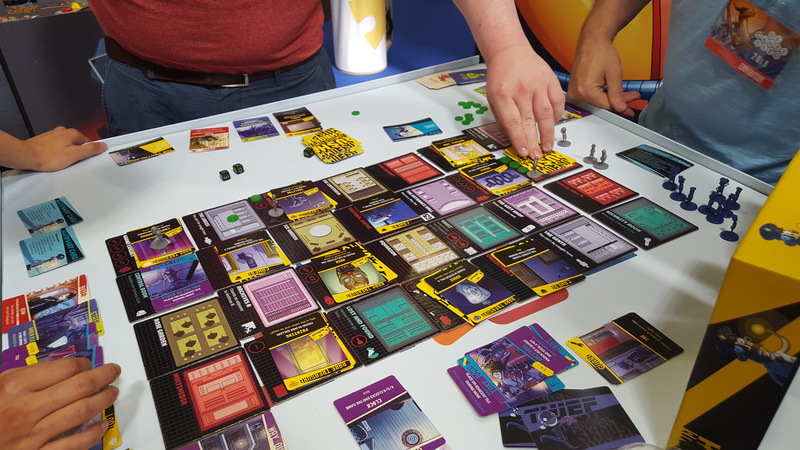 From the dextrous requirements of Flicky Spaceships to Miremarsh’s demo before it’s Kickstarter release, Room 17’s booth is packed with tables for playing their games. 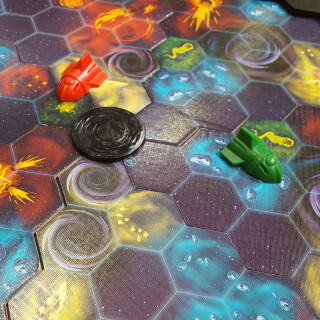 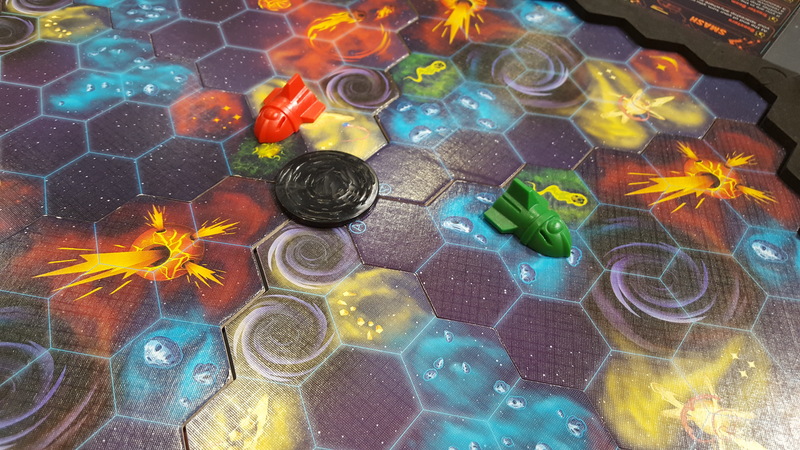 Comment below to win copies of Museum Rush and Flicky Spaceships! 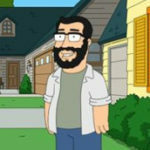 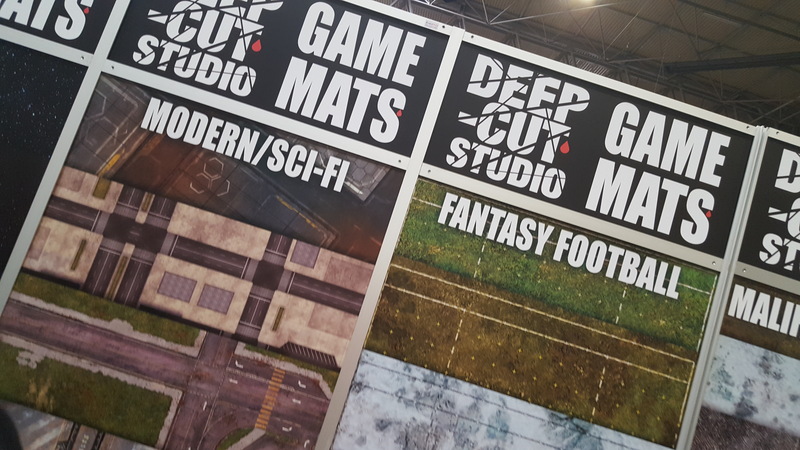 Ben stops by with Kostas with Deep Cut Studio to look at some of the terrain maps they have available on the show floor. 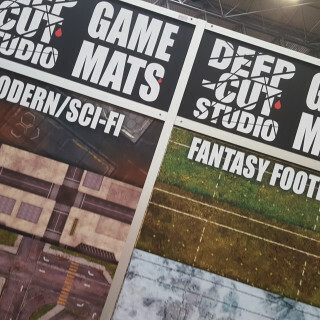 Deep Cut supply a lot of the mats for the weekender show but they also do branded mats with Steamforged for Guild Ball. 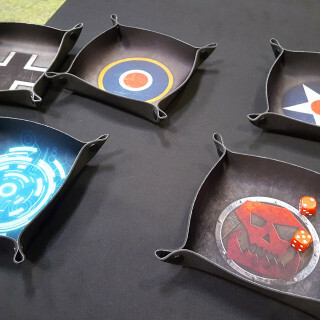 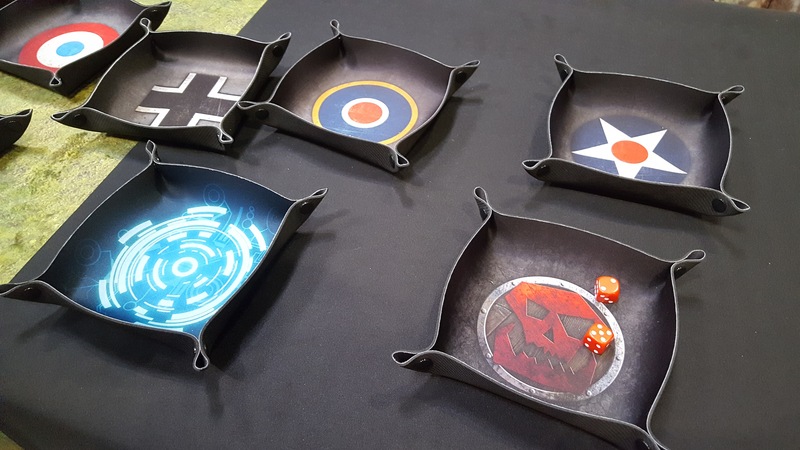 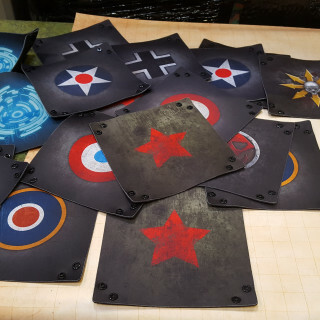 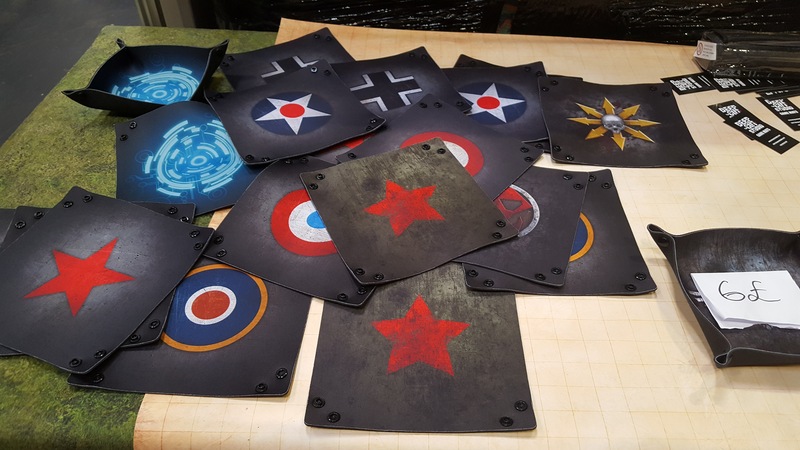 Comment below to win a Falconers Guild Ball Mat!